AV: Tell me about your relationship with music. When did it begin and how did you set about pursuing it in your earlier years? KK: I guess it all started when I was about 6 years old. My dad is a guitarist, so I grew up hearing and watching him play. He gave me a guitar for Christmas, and I started to play along with him, learning music by ear just the way he did (he does not read music). Guitar was my only instrument for many years, and I played in church groups during grade school and high school. I also played in a couple rock bands in high school. My favorite music to play was songs by Rush and Yes - Alex Lifeson and Steve Howe were my heroes, and I tried to play as much as I could of their music. Some time late in high school, I became interested in writing my own music, and quickly found that the guitar was too limiting, as a compositional tool. So, I started to play the piano, just transferring what I knew from the guitar to the keyboard. My best friend in high school was a very accomplished classical pianist, and he got me interested in Debussy and Bach. We would often meet at the school chapel during lunch to take turns playing improvised "tone poems" on the piano there. This experience was the spark that convinced me to choose music as my major when I went on to college. AV: What is your instrument of choice when you are composing, recording or performing? AV: What kind of balance do you try to maintain between the electronic instruments you use and the traditional instruments such as piano, cello and bass? What are the characteristics of each medium that you use and how do you use them to express different aspects of your music? KK: I like to think of the electronic sounds as instruments in their own right, meaning that neither the electronic nor acoustic instruments are more important in the overall arrangement. Each piece of music seems to dictate which instrument or sound is the "lead" instrument, and the arrangement evolves out of that. My goal is to weave the cello, piano, and synthesizer sounds into a unified sound. AV: Where does the inspiration come from that motivates you to compose the music you do? KK: Many places, actually, but I would say, generally, my music is very autobiographical. I tend to take personal experiences and translate them into music - using everything from time and place, to the emotion of the experience. AV: Who were some of the first ambient musicians that you first remembered hearing and how did they influence the way that you looked at the genre? KK: The first "ambient" music I ever heard was Brian Eno's "Ambient 2: The Plateaux of Mirror", his collaboration with Harold Budd. That album, together with it's follow-up "The Pearl", were very important records to me, and influenced me quite a bit in the early years of my work as a composer. I found them to be very impressionistic, very much in the same vein as Debussy's piano music. Because of the Budd/Eno approach to melody and harmony, I never really thought of that music as being only "background" music. It was music that I could put on, and completely lose myself in. Like immersing myself in those musical worlds. AV: When was it that you decided to study music in earnest and did you pursue any formal musical education in that regard? KK: I decided to study music when I graduated from high school, and became a music major the following year. I started out as a piano major, and then switched over to be a composition major in my second year of college. I completed a Bachelor of Music Composition in 1989. AV: What role did classical music play in regards to the style of music that you eventually started composing yourself? KK: I would say that it was the most significant influence - far more influential and far-reaching than the electronic/ambient and progressive rock I was listening to. Even though my earliest music sounded quite a lot like Tangerine Dream or Klaus Schulze or Pink Floyd, when I finally found my own sound and style, it ended up being much more classical in feel than even I would have expected. I remember when I wrote "Pale Unkempt Hours of Late Grey Afternoons" in 1992 for my first CD, and how surprised I was at its classically-influenced style. This approach to melody, harmony, and arrangement, has continued to be my main focus. AV: By the time you released your first CD in 1994 you had already done two film scores, a ballet and a string quartet, how did all of projects prepare you for the release of your first CD The Mask of Memory and what did you want to achieve with this release? 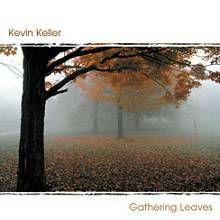 KK: I don't think that those earlier pieces prepared me for my first CD, since they were more traditional, at least in terms of instrumentation. AV: Intermezzo, a living room concert and Pendulum followed in the years to come, how was your music evolving and changing as each of these projects came to fruition? KK: Intermezzo was a major step forward for me. It was probably the most important album of the first 10 years of my career, because it was very cohesive, and compositionally very strong. It was also the album that first introduced the cello as the lead instrument in my music. Intermezzo got a huge amount of attention from radio, especially Hearts of Space and Echoes, and those two shows really helped to get my music heard by a large group of people. The first Living Room Concert was around the same time, and that also helped to expose my music to a new audience. 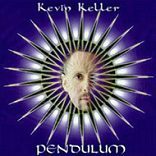 Pendulum was a very experimental record for me, in that it focused completely on harmony and texture, with melody and rhythm taking a supporting role in the music. It's the only truly "ambient" record that I've produced. The music from "Pendulum" proved to be nearly impossible to perform live, because it relied to heavily on studio effects, and I wanted to be able to play live more, and not be so reliant on technology. This was the reason that I formed the Kevin Keller Trio. 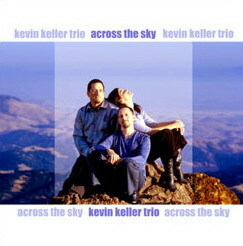 AV: What did the formation of the Kevin Keller Trio allow you to accomplish with your music that you couldn't do alone? KK: Having 2 other musicians to play with meant that I didn't have to rely so much on sequencers and effects. The focus shifted back to melody and arrangement, and the music took on a more classical sensibility. AV: Did your change of location in 2003 to New York City bring any new perspectives to your music that weren't realized before hand? 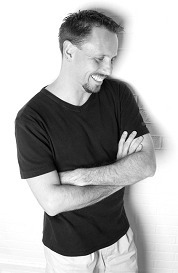 KK: Once I moved to New York, I began writing music for modern dance. I think that this interaction with dancers and choreographers helped to make my music more dynamic and more emotional than it had been in the past. AV: You've got a brand new CD coming up in September 2006 called Santiago's Dream. When was it that you first started to work on composing the music that was to become Santiago's Dream? KK: The first piece was called "Cordoba" - it started out as a string orchestra piece with a decidedly Spanish flavor to it. It was very slow, and very emotional, and I really wanted to write a whole CD with that piece as its focal point. It took a couple years for me to get to a point where I really understood what "Cordoba" was about, both musically and personally, and I eventually started working on the rest of the CD early in 2005 - almost 2 years after writing the first draft of "Cordoba". AV: Tell me how the title of the CD relates to the music that listeners will find once they pop the CD into their players? AV: Always a difficult task but could you describe what kinds/styles of music comprise Santiago's Dream? 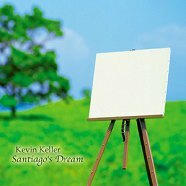 KK: "Santiago's Dream" draws influence from turn-of-the-century French and Spanish classical and folk music, as well as some Early Music influence, and of course, a little bit of ambient music also. AV: Compared to your previous releases do you see Santiago's Dream as the continuation of your evolution as a musician and in what areas do you see this as a stretch for yourself compared to your previous works? KK: I feel that this CD is definitely the strongest and most cohesive music I've written - it has some of the most memorable melodies I've written. I would say that the melodic writing and the arrangements are the areas where the most evolution has occurred. AV: Will you be performing material from Santiago's Dream live in the near future and if so where can AV readers catch one of these performances? KK: Yes! Meena and I will be performing most of the music from "Santiago's Dream" in our shows this fall, starting with the CD Release Party at Caffe Vivaldi in New York City on Thursday, September 21. We also have a big show at the University of Hartford on September 30, which is being hosted by Susan Mullis of the show "Ambience" on WWUH. AV: Any early feedback on Santiago's Dream that you'd care to share with our readers? KK: Everyone says that the music takes them away to another time and place, and that it seems to tell a story. AV: What's on the horizon for Kevin Keller? Do you take a break when you release a project like Santiago's Dream or are you already on to the next project? KK: For the next year or so, Meena and I will performing around the Northeast a lot, in order to attract new listeners and get more exposure for the music. The next CD won't get started probably until the middle of next year some time. AV: Having already done film work, a ballet, a string quartet and your various CD releases as a musician are there other areas of music/composition that you'd like to tackle in the coming years? KK: I would like to do more scores for film/television, especially nature and science programs like the Discovery Channel, NOVA, and other PBS shows. AV: Are there any final thoughts you'd like to share with our readers about your music either current or past that may not be so obvious at first glance? KK: I would just like to invite everyone over to my web site at http://www.kevinkeller.com , where they can read about all of the music, download free podcasts, and watch music videos. Thank you very much for the opportunity to do this interview. I appreciate your support very much. AV: Thanks Kevin for taking some time out to share with our readers about your musical journey and your latest expression of that journey Santiago's Dream. Good luck.